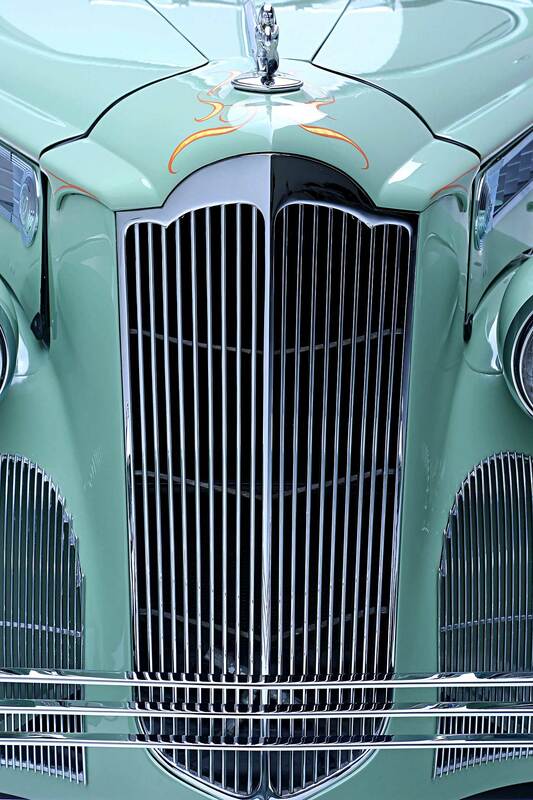 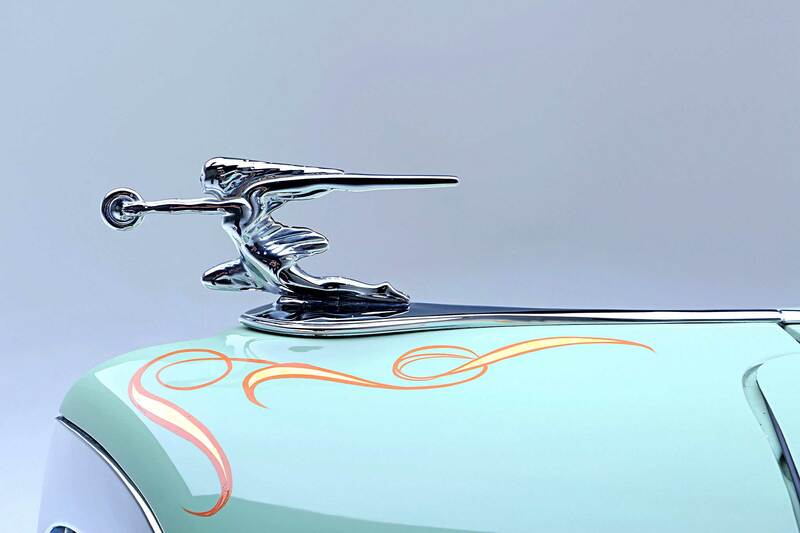 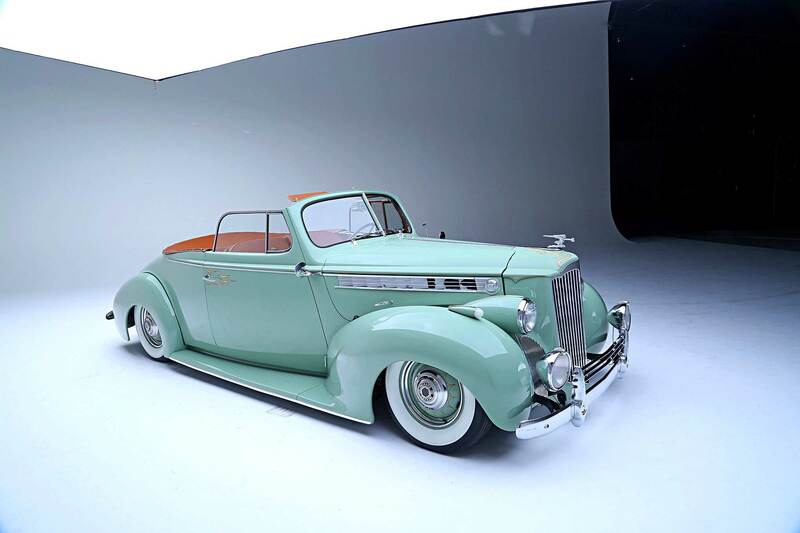 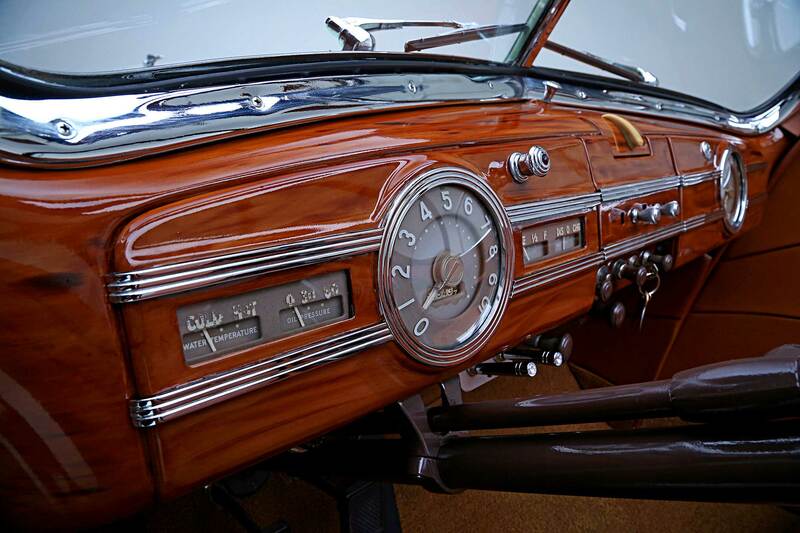 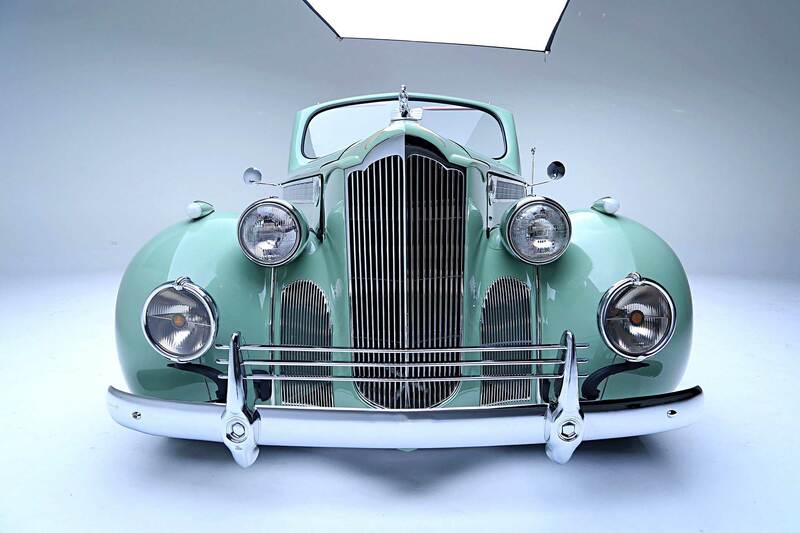 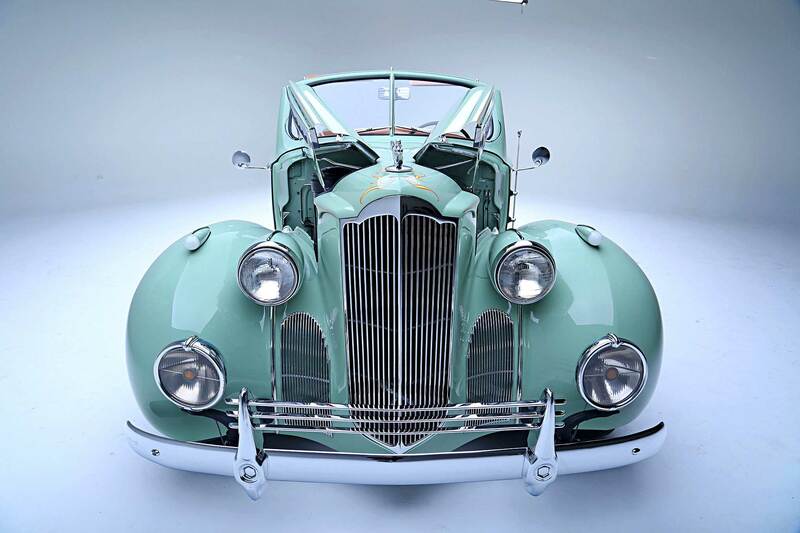 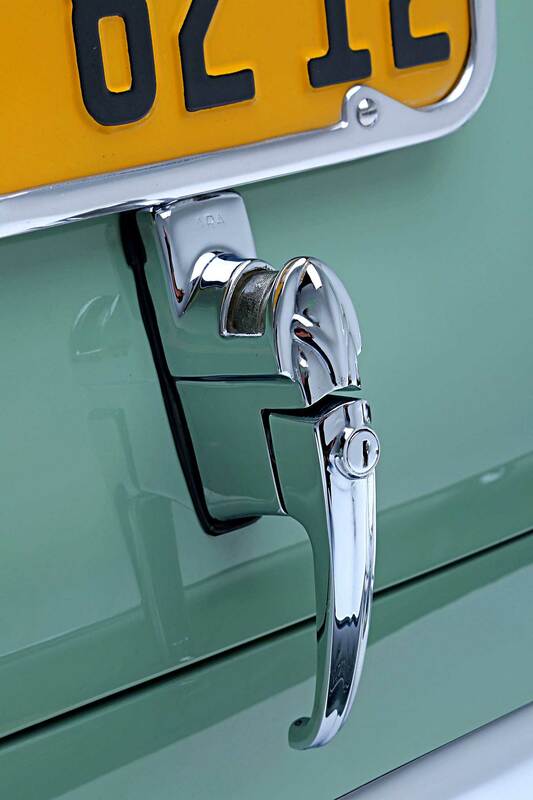 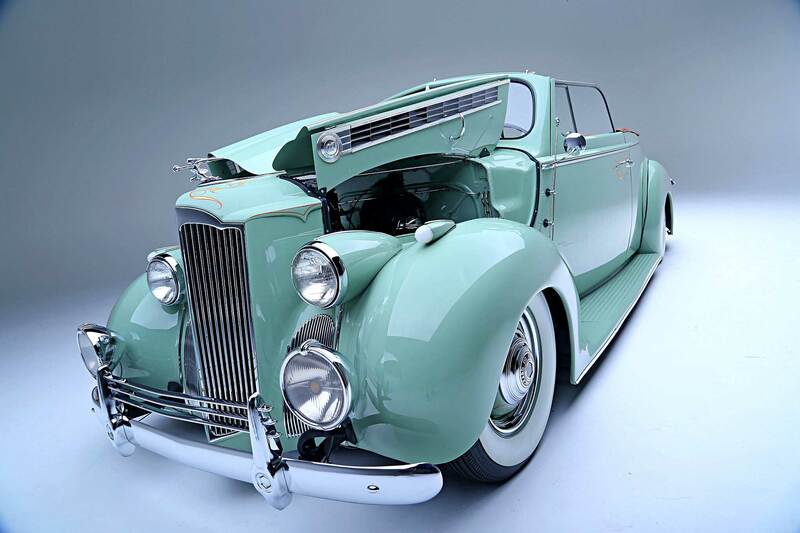 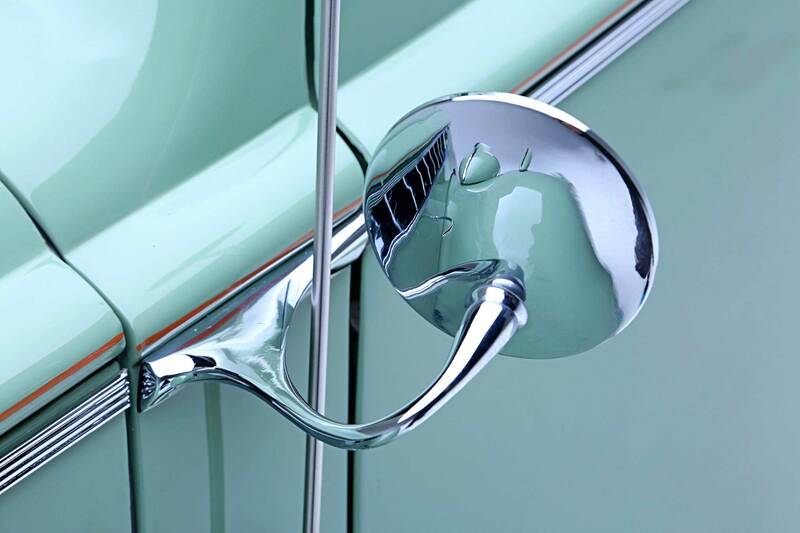 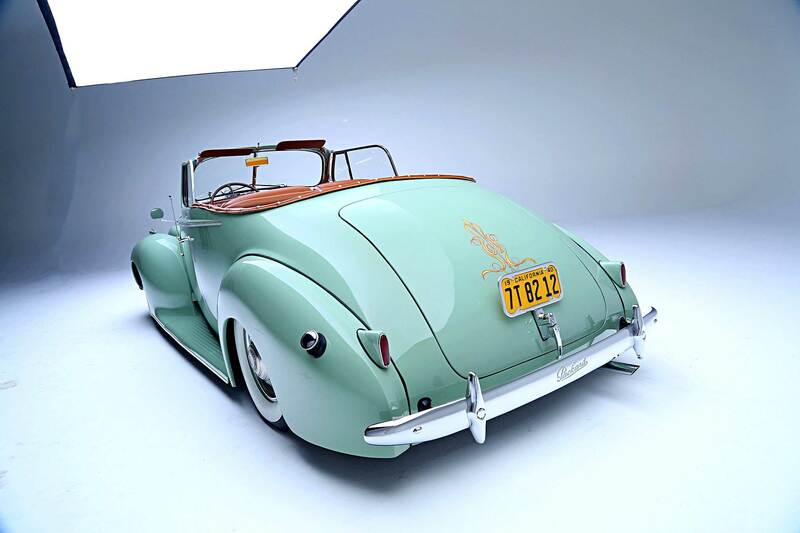 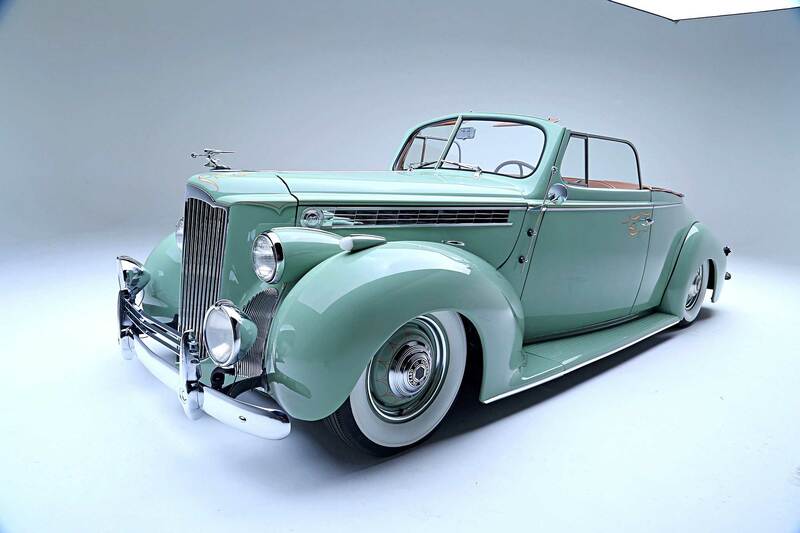 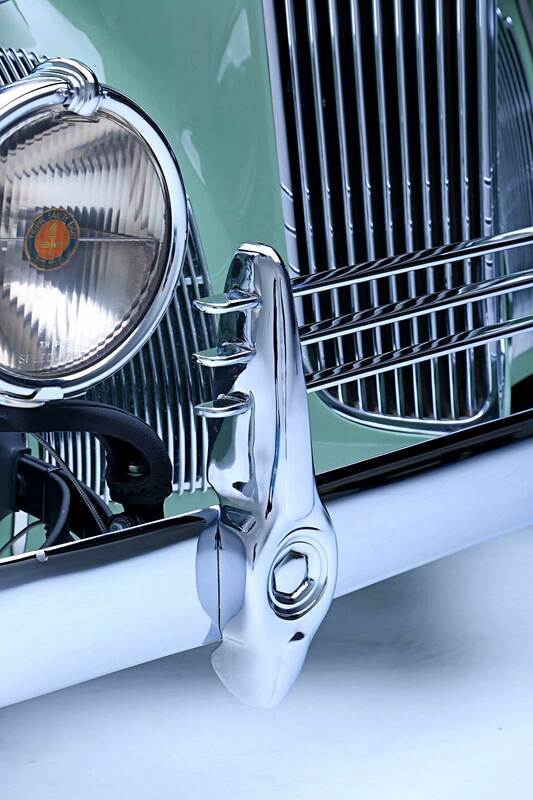 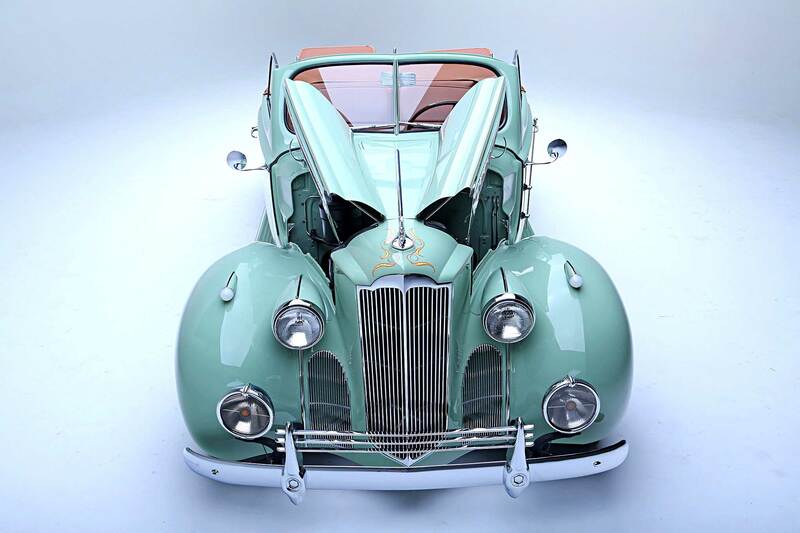 Packards were American luxury vehicles built by the Packard Motor Car Company in Detroit, Michigan. 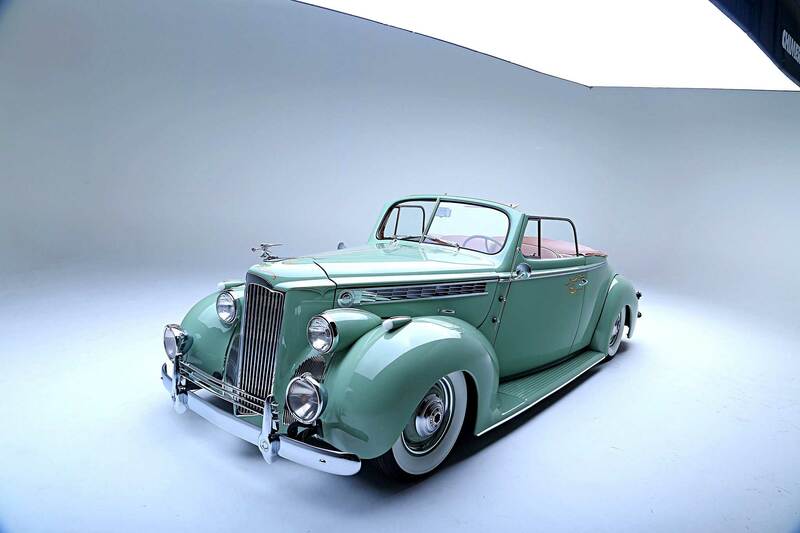 First introduced in 1899, Packards were already pretty pricey, but during the Great Depression they began manufacturing even more expensive cars. 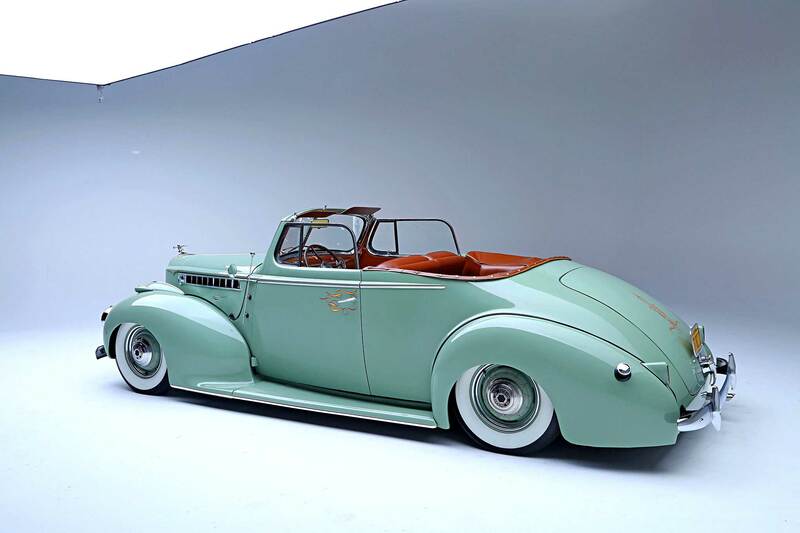 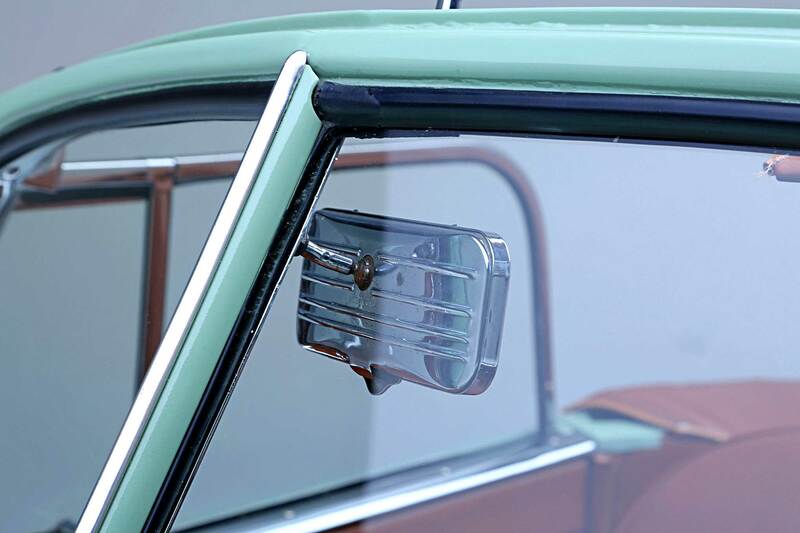 It was a fatal mistake that resulted in them being forced to make lower cost, six-cylinder models introduced as the Packard 110 and produced from 1940-1941. 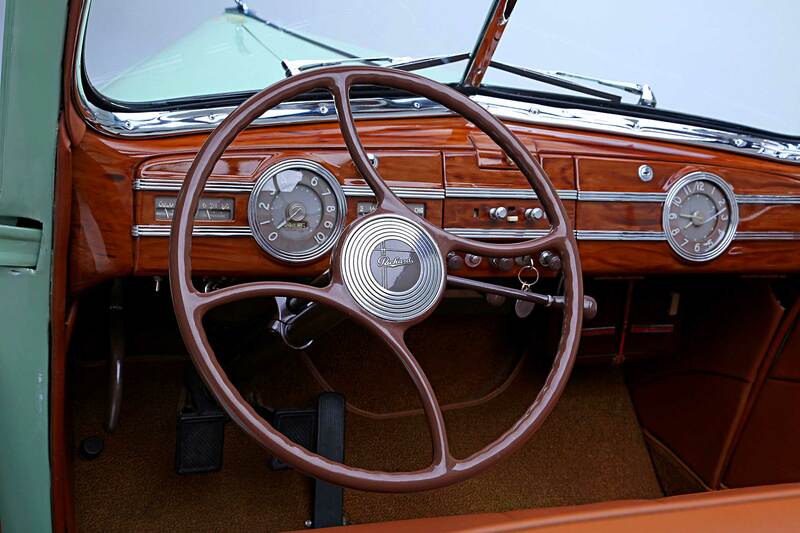 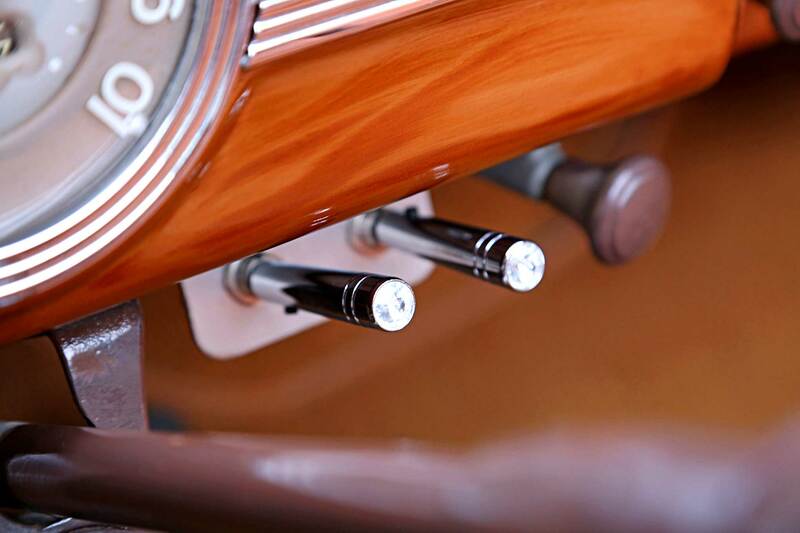 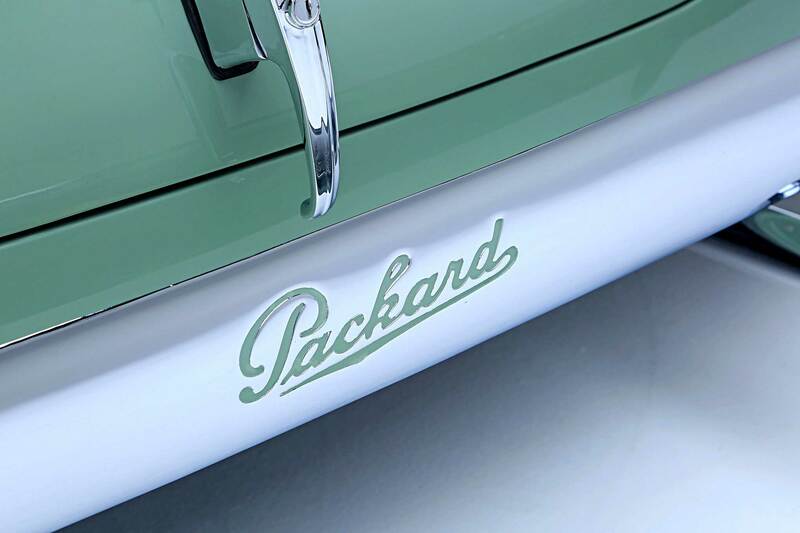 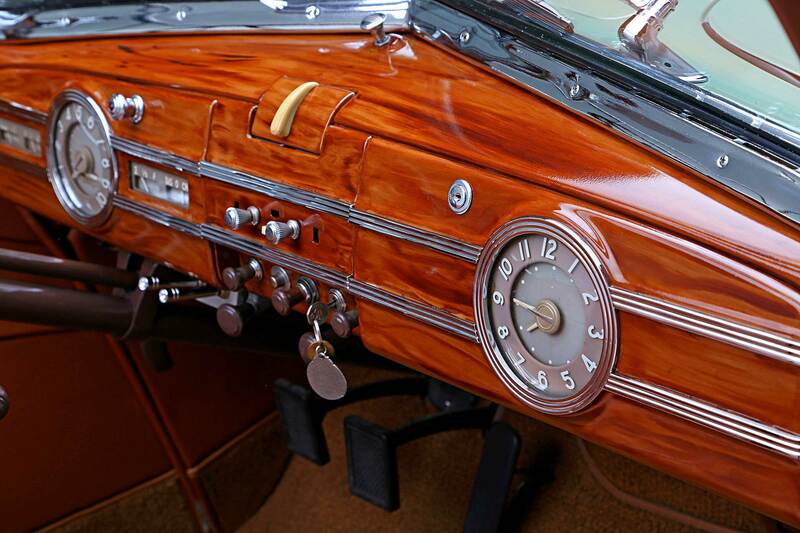 The Packard had belonged to an older man who was selling all his cars so he could sit back and enjoy his retirement. 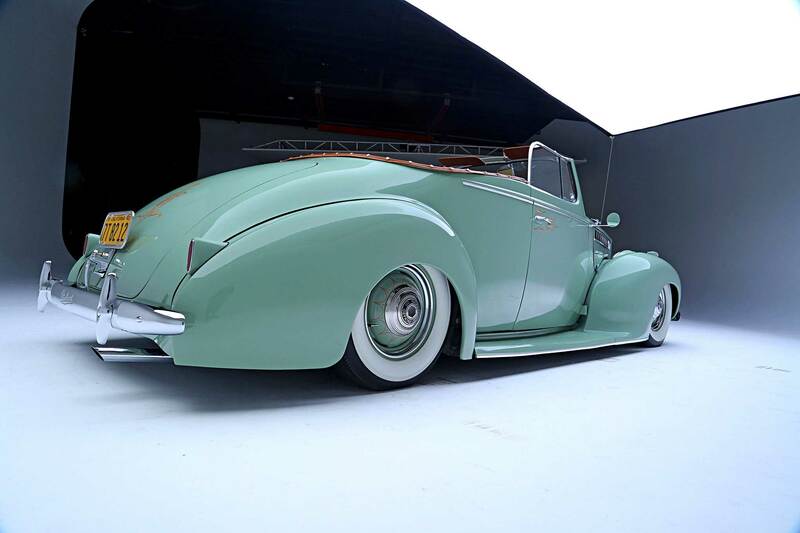 It was an older restoration that had been done in the ’80s, so Bob drove it to his brother, Frank, to do a restoration. 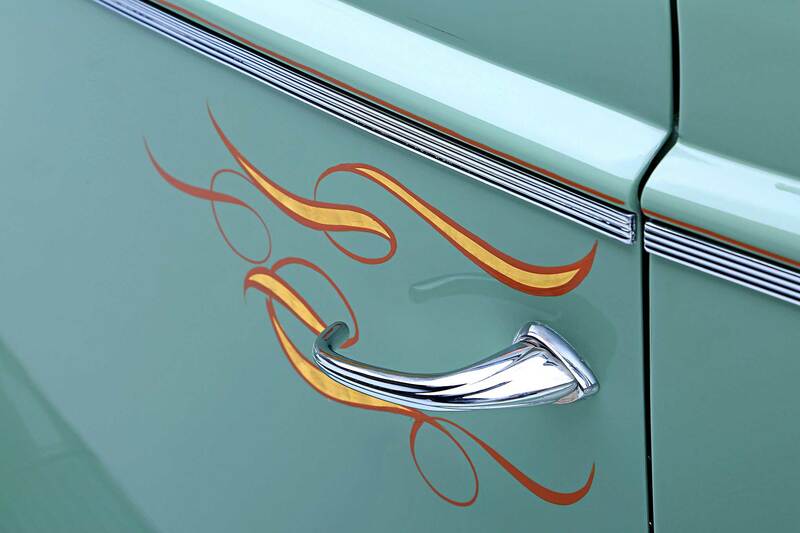 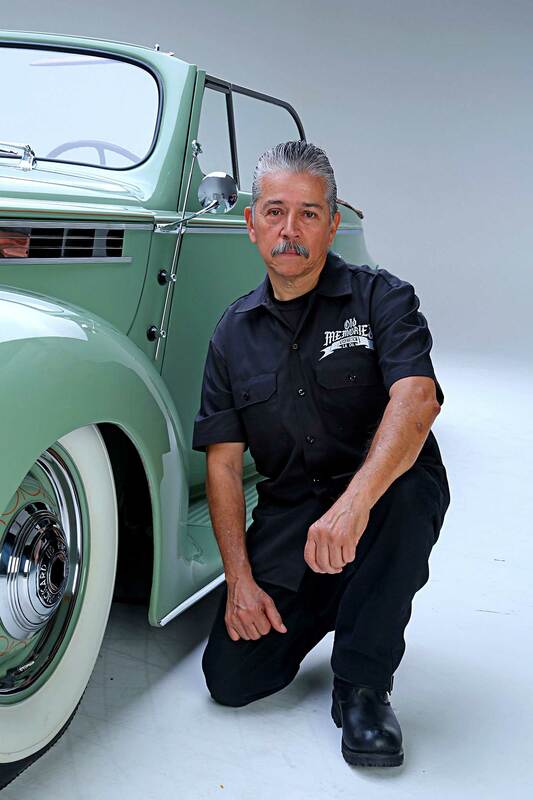 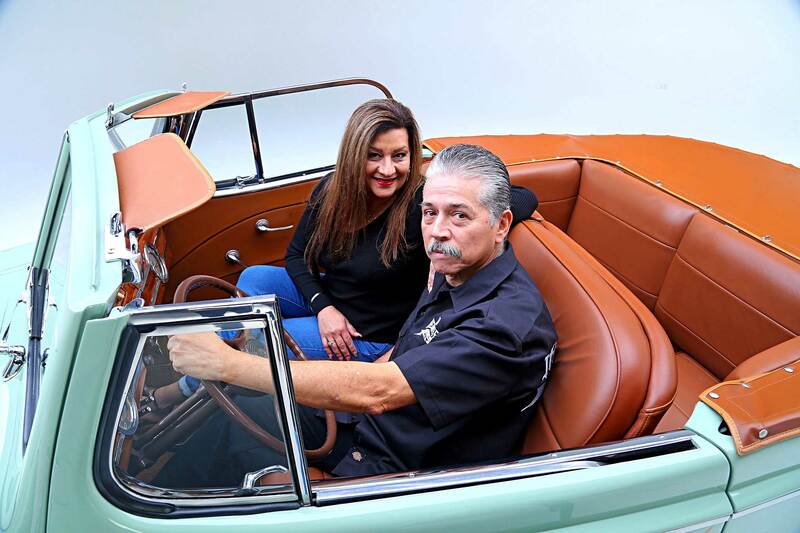 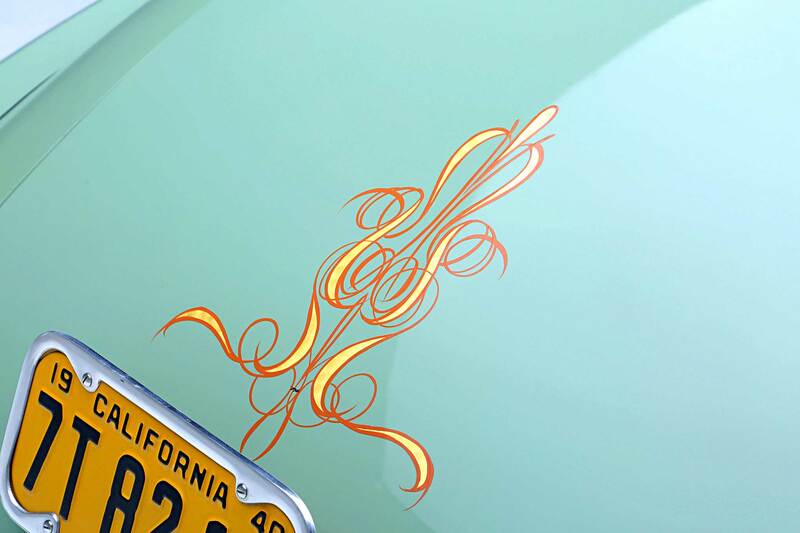 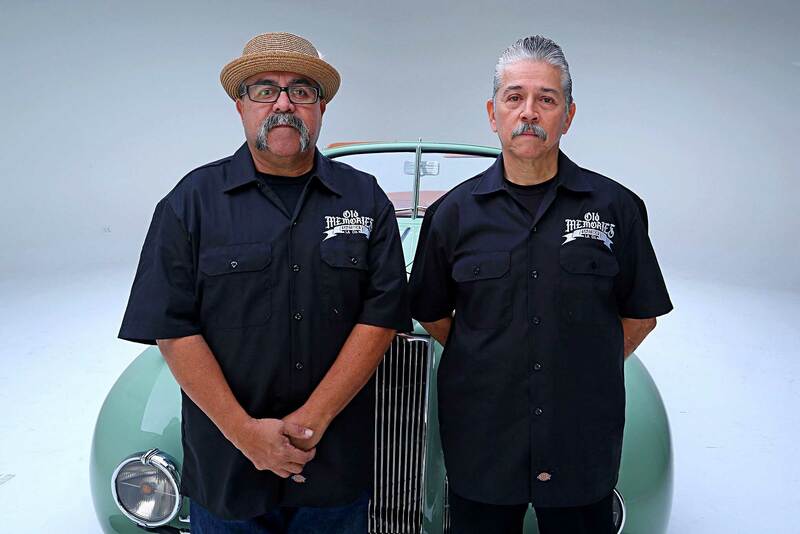 He gave him a short timeline to finish; his goal was to have it ready for the Las Vegas Lowrider Super Show. 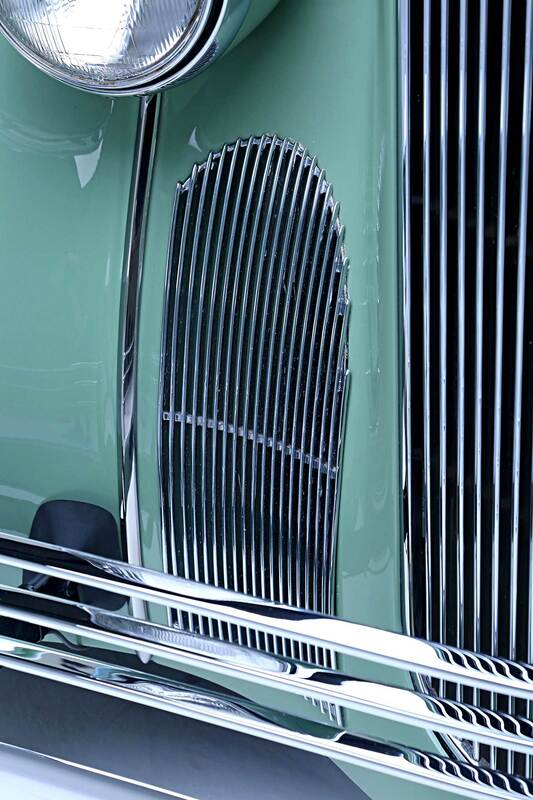 The car was brought down to bare metal and to their surprise some areas had up to an inch of bondo. 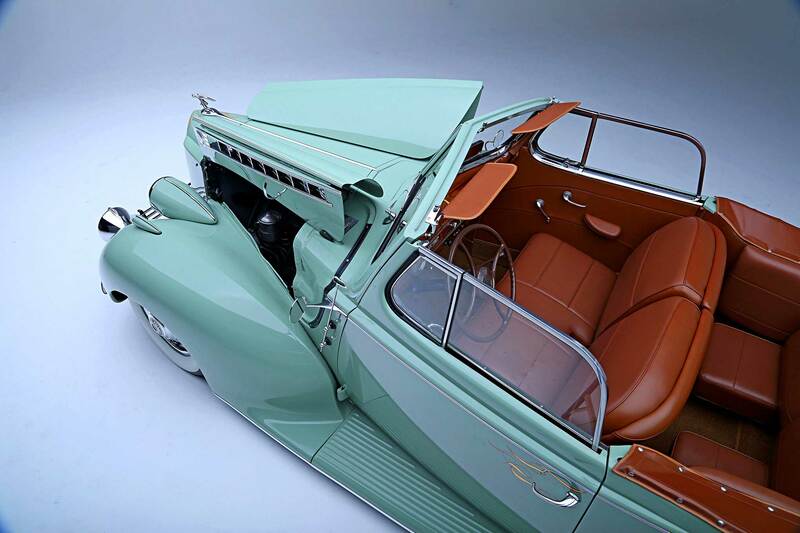 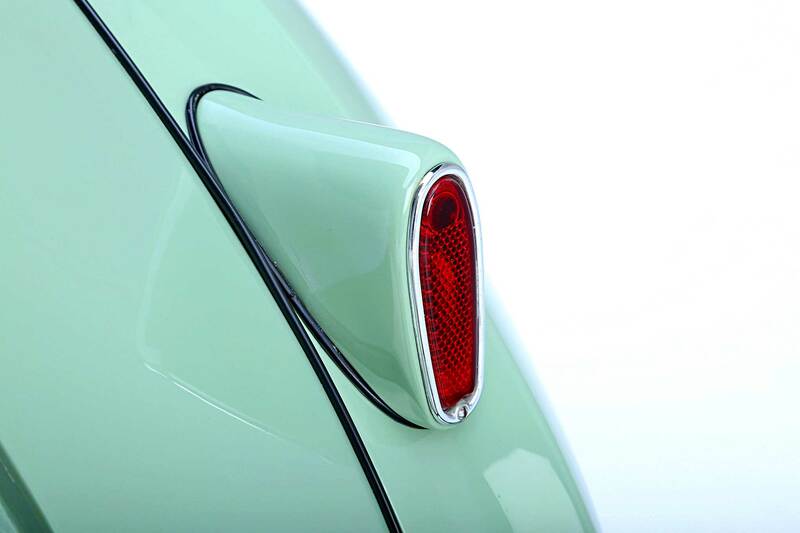 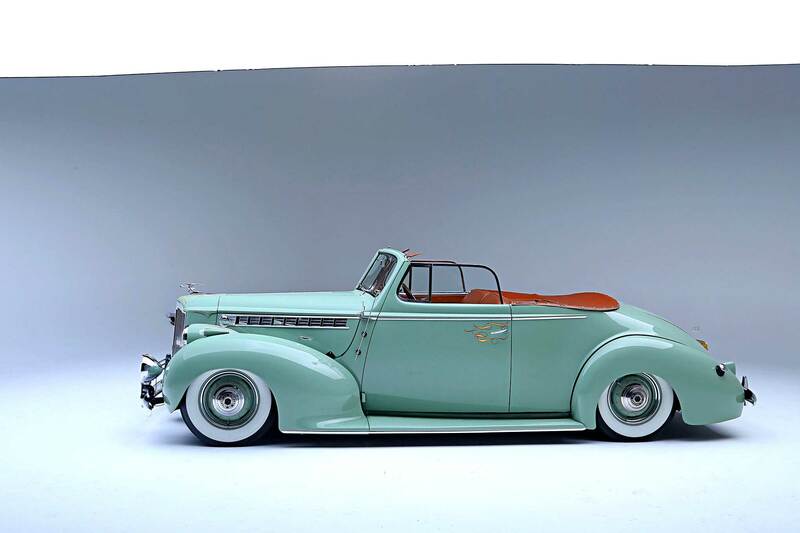 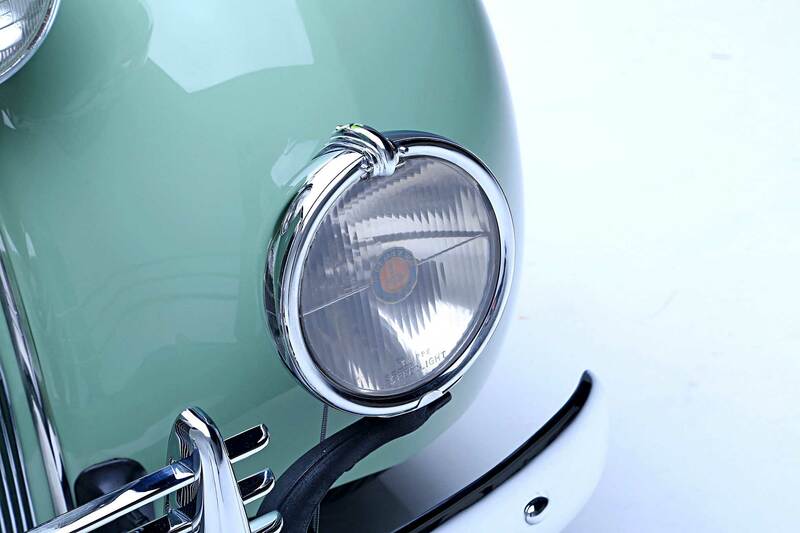 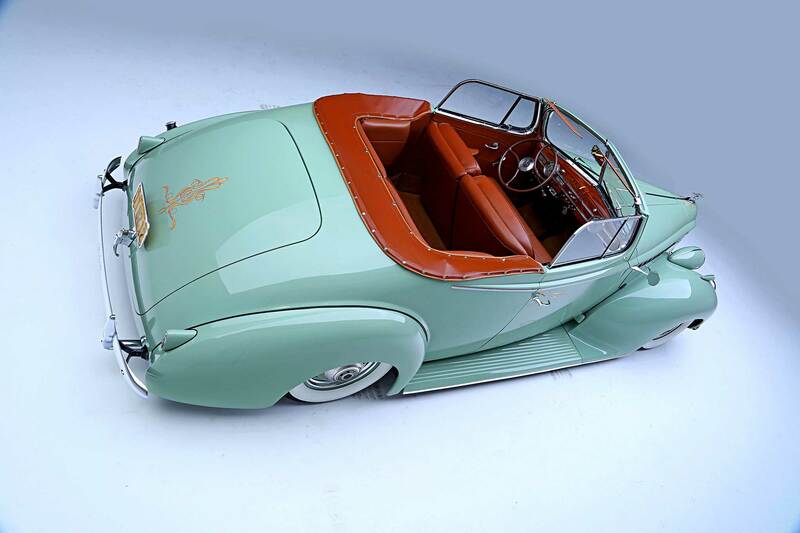 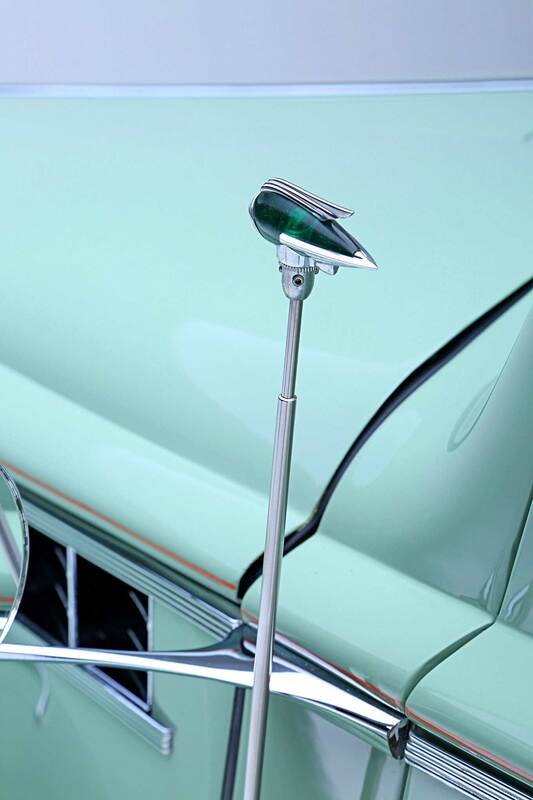 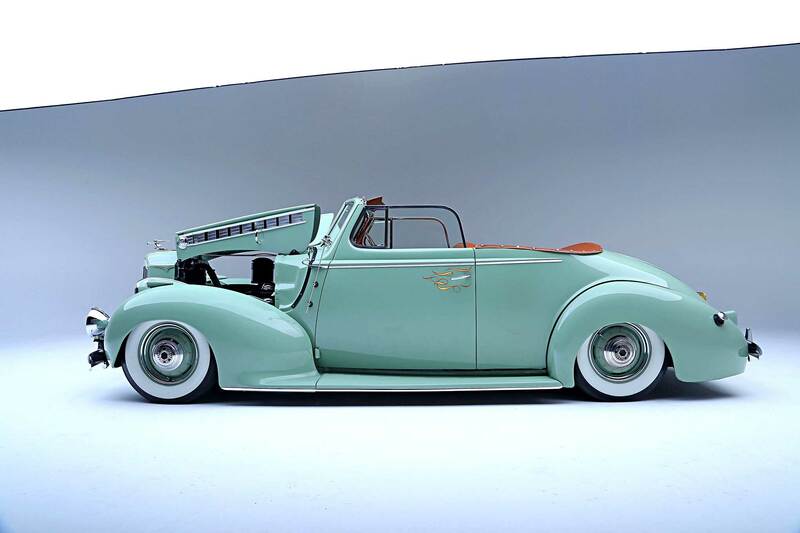 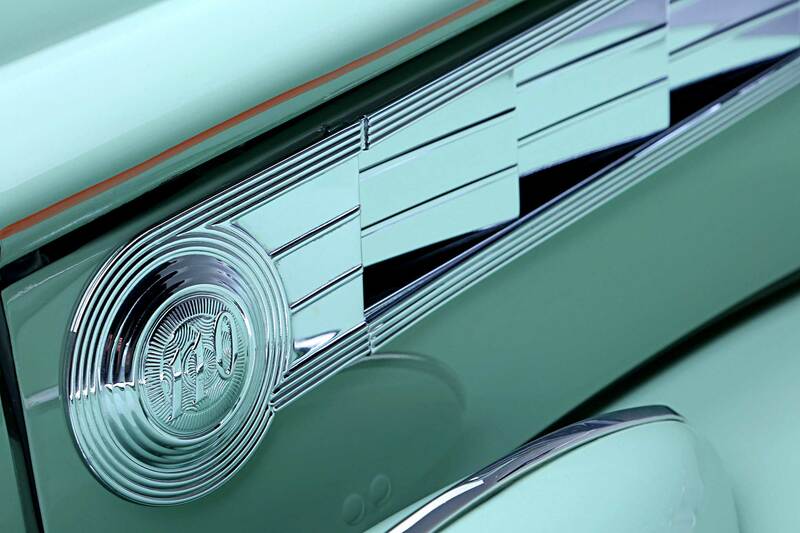 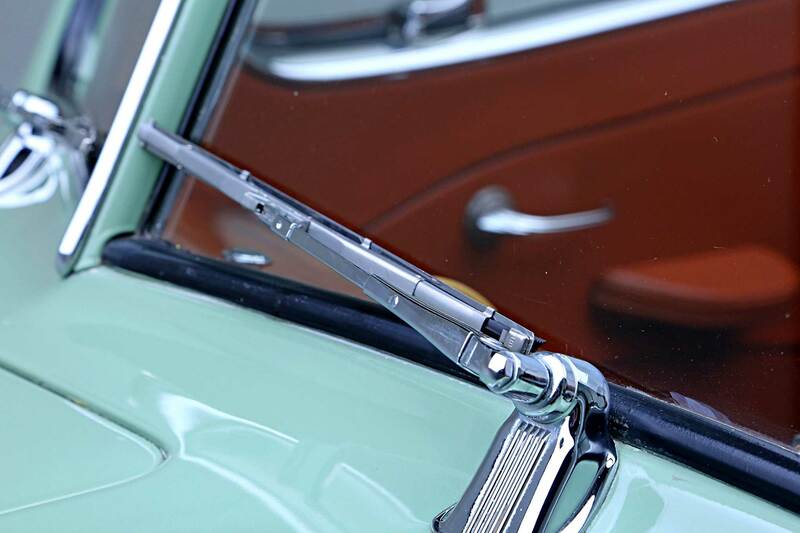 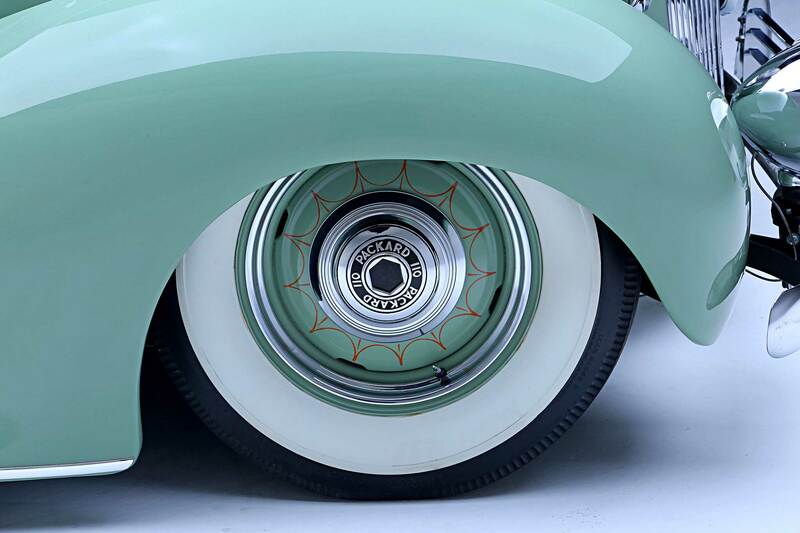 Once cleaned up, Frank laid a mint green paintjob down and the final result is a clean restoration to envy. 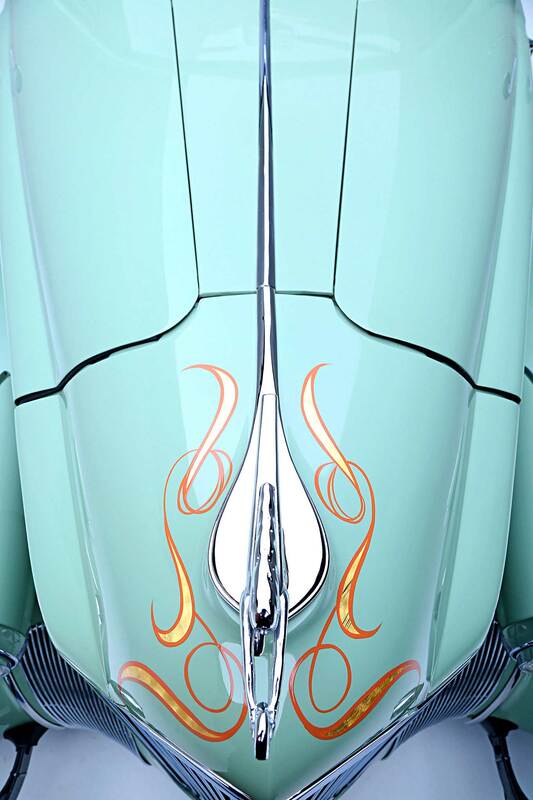 From far it looks like it had been frozen in time but get up close and the devil is in the details. 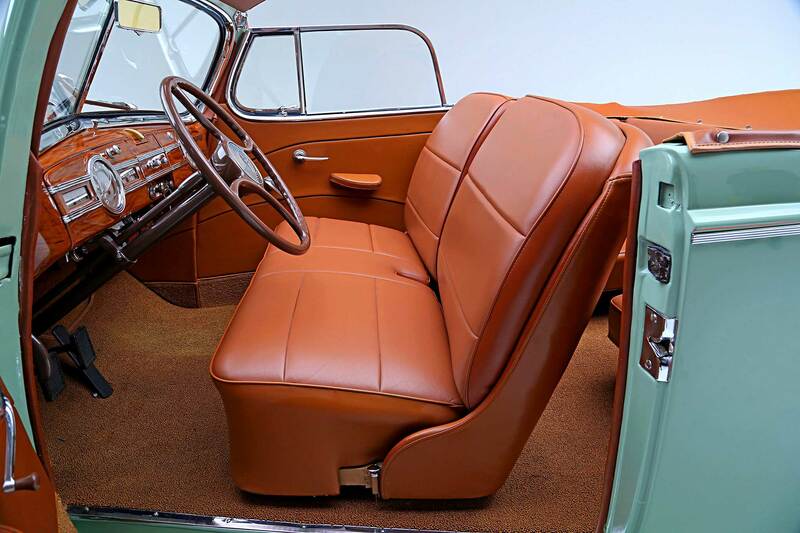 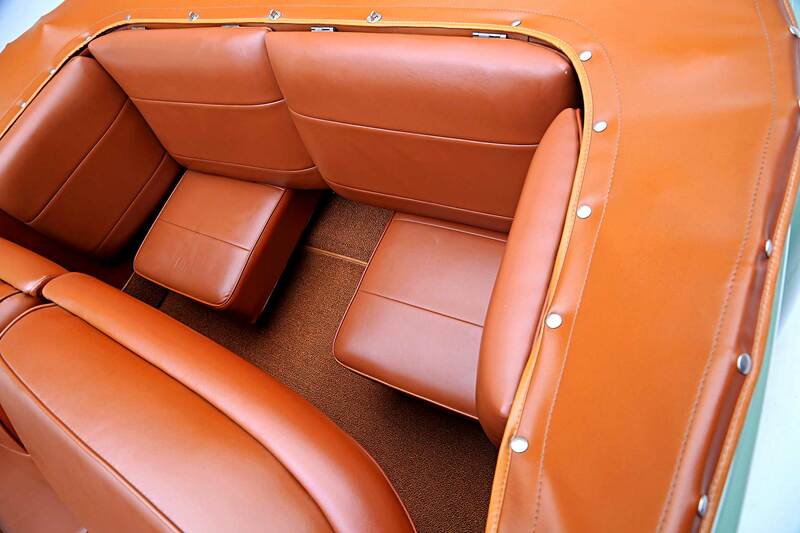 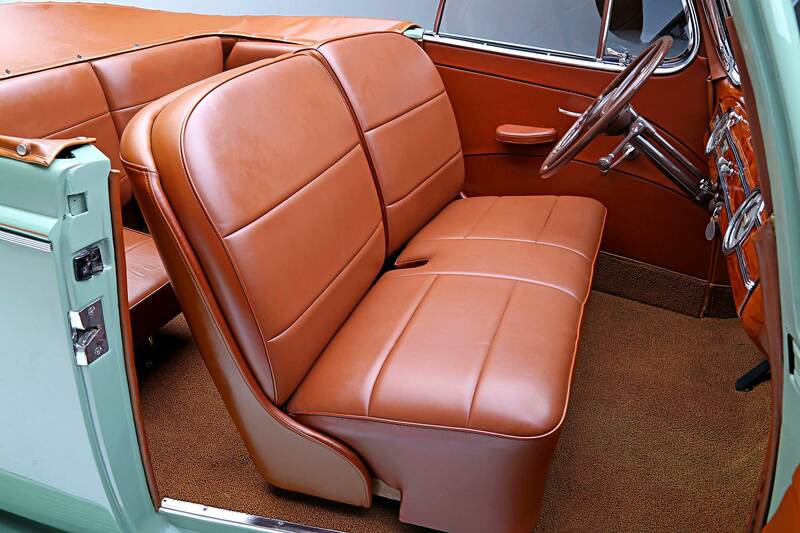 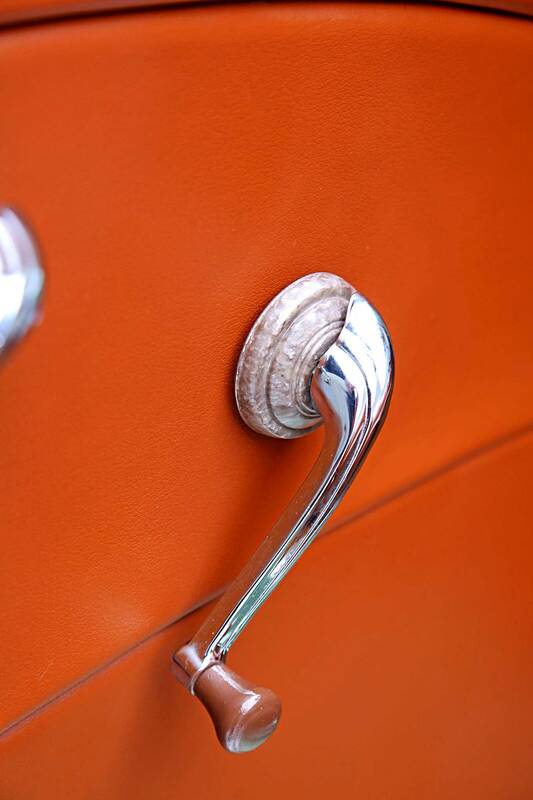 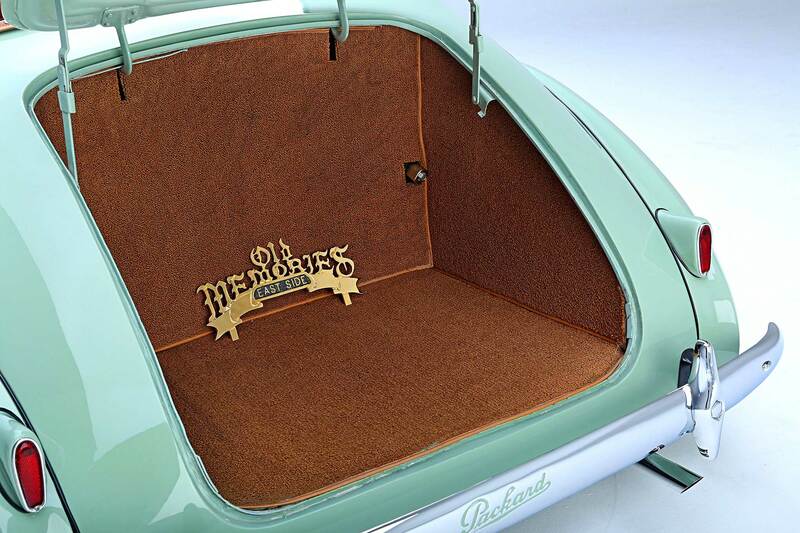 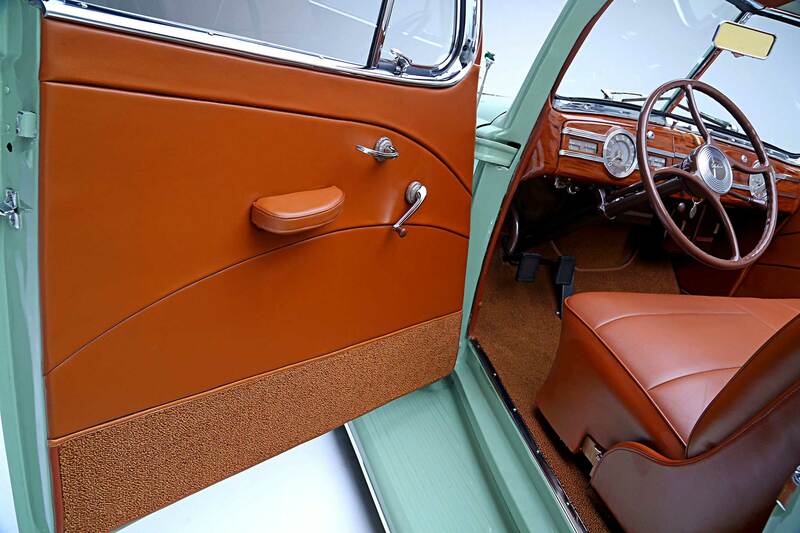 Custom striping and leafing are found throughout the car while “P-Nut” installed a two-pump setup and “E” stitched together a supple leather interior. 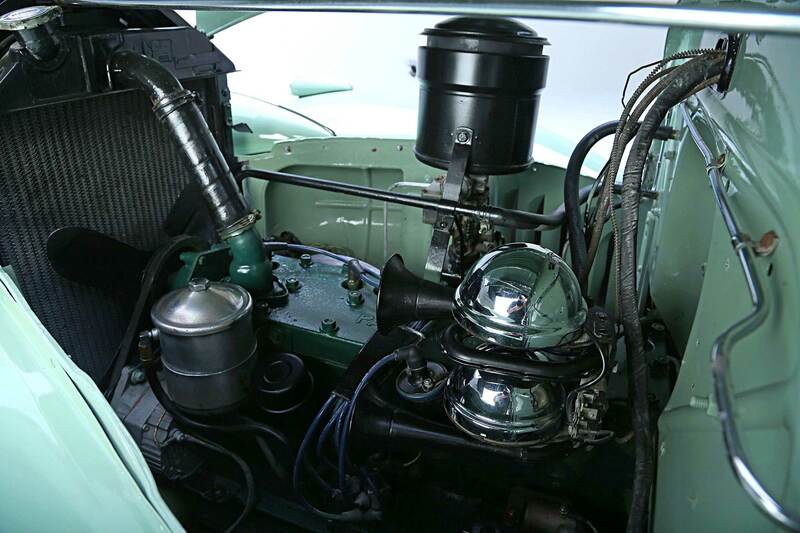 The rebuild took a total of seven weeks and the car made its debut at the Super Show, which is exactly how we landed this incredible feature.